C.R.A.F.T. 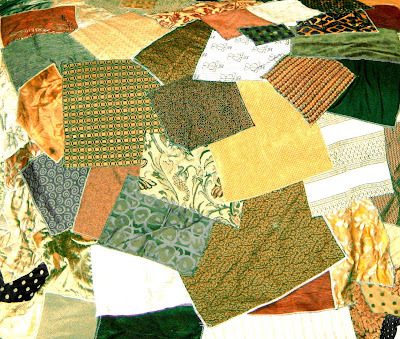 #58: Crazy Quilt - C.R.A.F.T. This quilt cost n o t h i n g !!! sewing machine, and LOTS of patience! This is the first “quilt” I ever made! First, Pick a color palate…I choose nature neutral! Third, If you are using old fabric samples…most likely your edges are already serged…if not, I would serge them…at least for me and my no pattern…I had NO idea what fabric was going to end up where! Fifth, cover your entire sheet with fabric. Now, decide how to finish your quilt. Last,I decided to just finish it with a border and leave the back c r a z y ! I’ve thought about making it a duvet cover so the ugly back did not show. It is quite beautiful! I love it! I love it! I think I could actually sew that!! Straight lines, not so much! I found a crazy quilt at a garage sale for $10 and have been dying to know how it was done ever since. It's so simple I should have guessed! 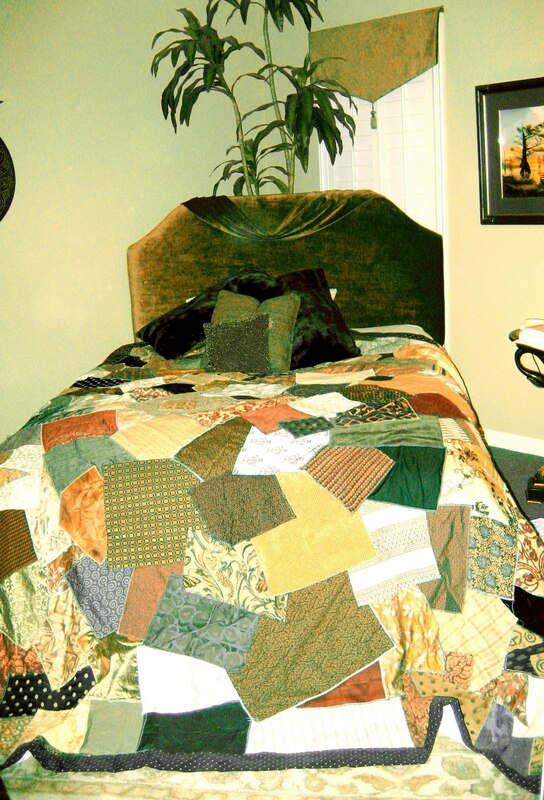 Really nice quilt. And so cool that it was all free fabrics!